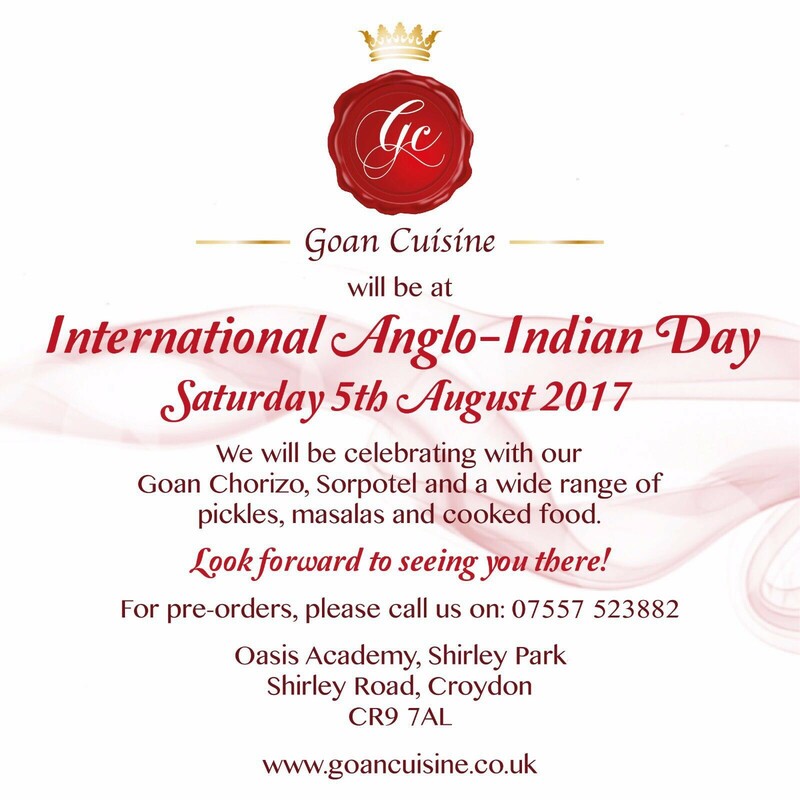 We are pleased to announce we will be celebrating International Anglo-Indian Day on Saturday 5th August in Croydon. Our pickles and masalas will be available to purchase along with our famous Sorpotel. 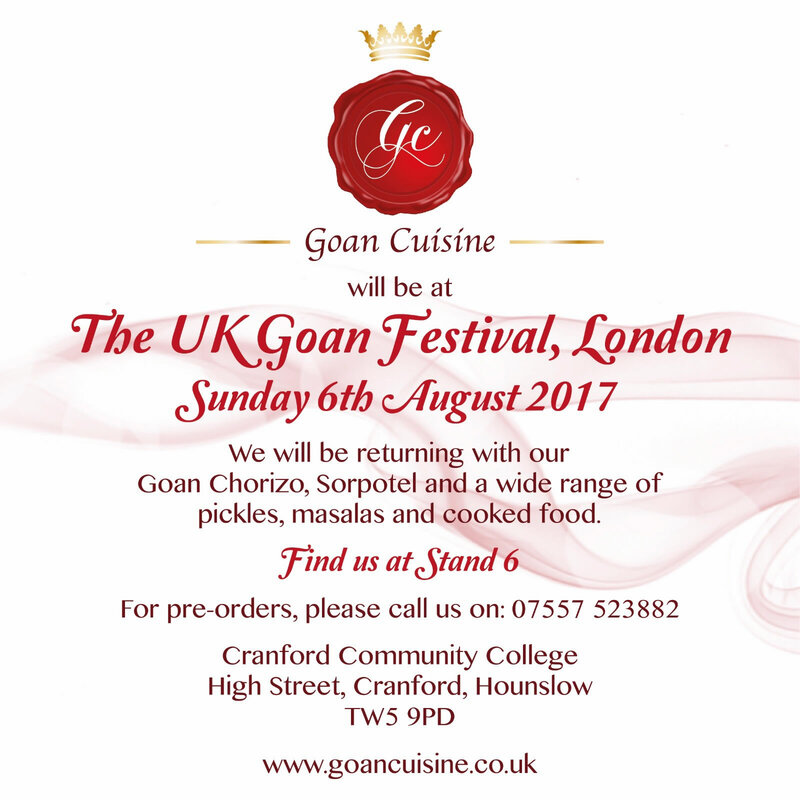 We are very excited to return to the Goan Festival in Cranford on Sunday 6 August 2017. Our authentic masalas and pickles will be available, along with our sumptuous Goan Chorizo Rolls. There will be a variety of live music and bands; fun for all the family. The Goan Festival takes place on 6 August at Cranford Community College, Cranford, TW5 9PD.